Everyone loves a good Toast! Thanks to JaM Cellars for providing wine for this special moment. 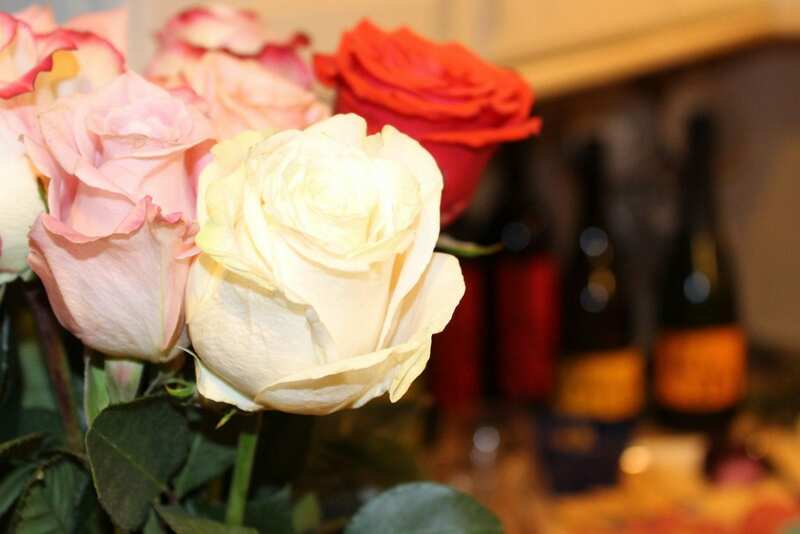 Wondering how much wine to order for your next party or wedding? Check out their wine calculator! 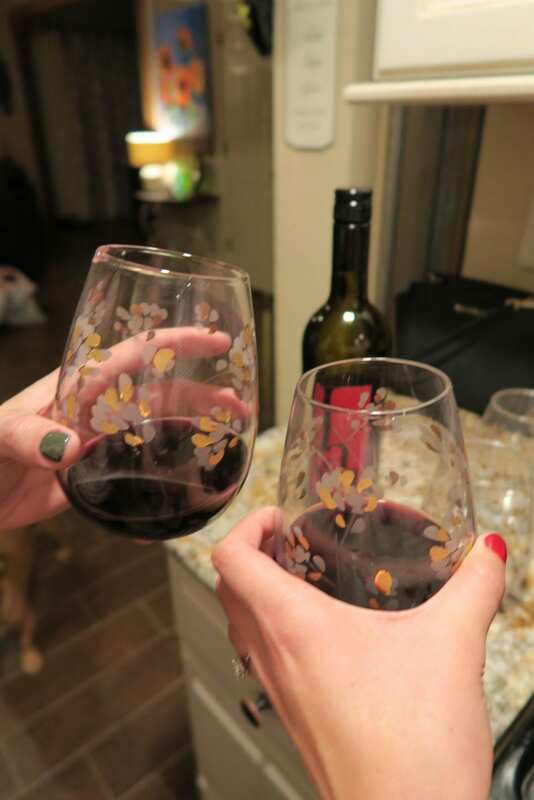 This post is not sponsored, but JaM Cellars, Dogeared and Fiona provided gifts and discounts for my bridesmaid reveal. When I first thought about asking my bridesmaids to be part of the big day, I wanted it to be special. I wanted to ask in a fun way, and ensure that all the girls felt loved. I wanted them to understand that I cared about them a lot. Originally when we chatted, we thought we'd have a get-together in November. Lots of things happened that made us push it out quite a bit. Luckily for me, this gave me more time to plan something even more special. I wanted to provide all the wine, so I connected with my favorite winery: JaM Cellars. 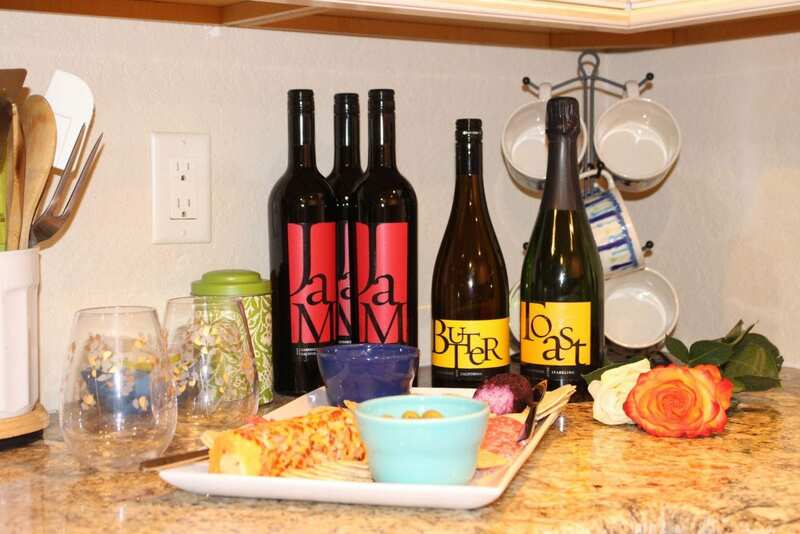 JaM Cellars provided 4 bottles of Butter Chardonnay, 4 bottles of JaM Cabernet Sauvignon, and lastly 4 bottles of Toast Sparkling. JaM Cellar makes rich, bold, luscious wines that are priced well. The best part of their wine is that they can easily be paired with everyday occasions, as well as the big occasions like a bridesmaid reveal! While having my girls with me is truly the highlight of the evening, JaM Cellars made it so much more special because everyone loved all the wine. Tiffany was a huge fan of the Chardonnay, which I knew because she loves butter like it's nobody's business. Kelly, Ashley and I enjoy a good Cab Sauv, which is what we dug into after a special toast with the Toast Sparkling. We all brought appetizers and sides, while Kelly got a cheese, cracker and salami plate along with grilled steak. All in all, we know how to feed ourselves. A little while ago, I found Fiona. An artist from Jakarta. Her art really spoke to me, and I thought it would be incredibly fun to create some custom artwork for each of my bridesmaids. I sent her a few paragraphs on each of the girls, and she created the artwork based on an Instagram photo from each that I loved a lot. In addition, she added details for each girl based on what I wrote about each of them. Having this made custom for each bridesmaid was such a treat, and I loved giving the feedback on things to add or take out. When it came to the bridesmaid box, I had the opportunity to pick the exact one I wanted for the bridesmaids and the maid of honor. Dogeared really went above and beyond, and made the perfect bridesmaid box, including the bridesmaid necklace, a gorgeous heart shaped gemstone and then a makeup bag that had LOVE written in gold letters. If you use the code Social20, you'll get 20% off your own jewelry, whether it's for a bridal event or just for your jewelry. All in all, the night was a success. Since it's December, it's VLOGMAS. I recorded all the reactions from my bridesmaids, as well as me explaining each piece of artwork to every single one of them. I explained why I choose specific elements about their personality, and things they love. It was so fun so make sure to click the video below!